Buyers from emerging European markets are seeing increasing demand for South-east Asia, as travellers in these markets are drawn by the exotic allure of the Far East and affordable ground costs. Viktorila Buzova, CEO, Team Link, Ukraine is recording greater demand for corporate incentive travel and teambuilding activities, especially to Thailand, Vietnam and Malaysia. “In terms of pricing, the airfares (to South-east Asia) are higher than to Western Europe, but the ground costs, including hotels, meals and activities, are much lower. Overall, the total costs work out to be the same as having (programmes) in Western Europe,” she said. Picking up on the trend for “fancy” holidays in his market, Radek Madera, manager at Czech Republic’s Arcadia Air, remarked that Asian destinations present opportunities for him to offer clients aspirational trips for the same budget. “Travel preferences in the Czech market are changing every year. Our clients follow lifestyle and travel trends. It’s now going towards fancy travel, fancy style and fancy luxury. Before, travellers opting for Asia were content with more rugged trips and ask for cheaper or regular hotels, said Madera. Madera is also planning to incorporate more off-the-beaten-path destinations into itineraries. 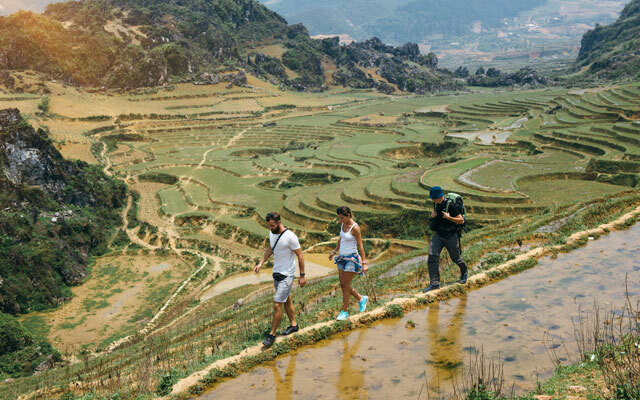 The launch of Hôtel de la Coupole – MGallery by Sofitel, the first international brand luxury hotel in Vietnam’s Sapa, presents an example of a destination that can fulfil his clients’ preference for luxury and hidden gems, he said. ATF sellers from South-east Asia have also registered keener interest from emerging European markets. Henry Wong, executive director at Discovery Overland Holidays in Malaysia, shared that while business from Eastern Europe has increased, travellers are generally new to the offerings in this part of the world, and are more likely to seek out expertise of travel agents. He said: “The FIT segment (from Europe’s emerging markets) is not as adventurous as Western Europeans such as the UK and Germany who tend to design their own itineraries. Travellers from Eastern Europe are more comfortable buying a package from a reliable travel agent. “Many are also first-timers to the destination. As such, everything is new to them and they are open to new experiences,” said Wong. Elsewhere in the region, Bali-based Manumadi Travel is also starting to receive bookings from the Baltic states, a new market the company is targeting, shared Siggi Neuhaus, general manager of Caraka Travelindo (sister company of Manumadi Travel).